Epic Games added new things but didn’t change much of what’s in the game. Fortnite developer Epic Games released the patch notes for the 6.30 content update today. This is a small update that brings the previously leaked Wild West temporary mode and the Dynamite item that was announced yesterday. 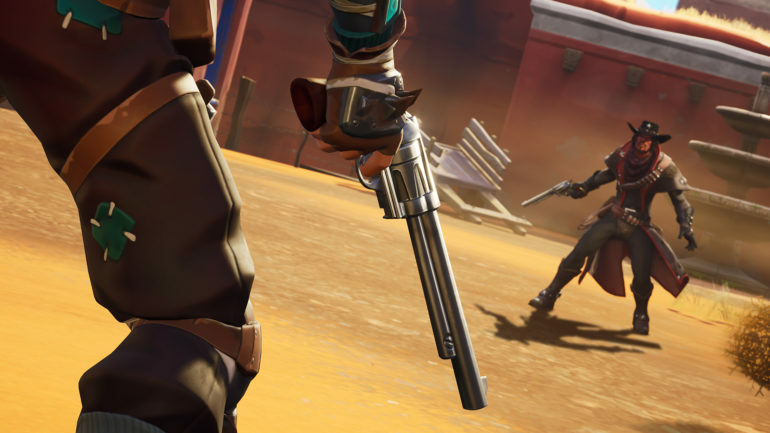 In the new Wild West Limited Time Mode, players have “a limited set of weapons and items such as Hunting Rifles, Shotguns and Dynamite.” They won’t have assault rifles or submachine guns available, and the closest they’ll get to an automatic weapon is with the Minigun. Campfires, Bandages, Medical Kits, Slurp Juices, and the new Dynamites are the only consumable items available in Wild West. The Dynamite is also coming to the default game modes. It spawns in stacks of three and is of uncommon rarity. Players can find it on floor loot, chests, Vending Machines, Supply Llamas, and Supply Drops. The Dynamite wrecks structures causing 800 damage to them while dealing only 70 damage to players. Epic was very specific about how the Dynamite explodes. Its explosion has the shape of a flat cylinder with 1600 units in diameter and 384 units in height. Unfortunately, in-game units are not intuitive, and players will have to test the item first to understand how big this explosion is. Unlike explosives such as Grenades, getting ready to throw a Dynamite is irreversible. Players who light its fuse will have to throw it within five seconds if they don’t want to blow up with it. Being careful is essential since players can’t throw it as far as a standard Grenade. Epic has also implemented the Scavenger Pop-Up Cup Duos event with changes to how the previous Solo edition worked. The material cap of the mode was reduced from 500 to 300, and the radius of most safe zones were reduced to speed up the game. Epic did not change the Mounted Turret, and the company didn’t mention any bug fixes or small adjustments. Players can check out the full patch notes on Epic’s official website.